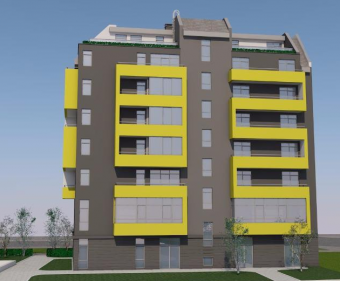 Description: Brain Trust offers for sale two bedroom apartment located at a new development at Sofia, Lulin 10 district. There is a very well developed infrastructure around the development, walking distance from subway stop Zapaden park. The apartment is situated at 3rd floor at the 6-storey building. 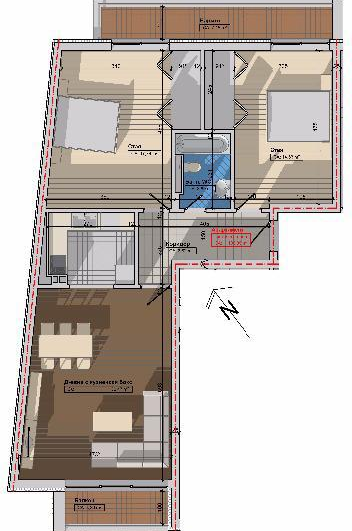 The size of the apartment is 122 sq.m., together with the common parts. Layout - 2 bright bedrooms, spacious living room with kitchenette, bathroom with WC and 2 balconies.